Better find another great strategy game for your single-player leanings. It’s a shame, as I’ve been personally enjoying them, and it does sound like feedback has been positive. 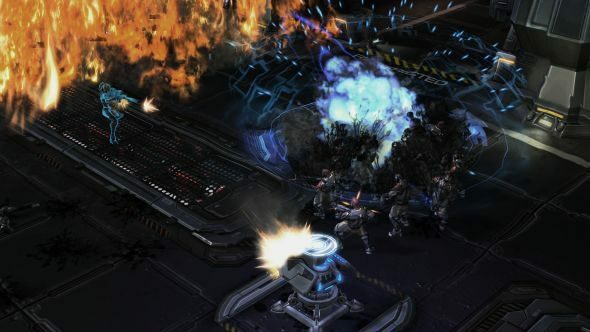 “All the feedback that we’ve [had, people are] very excited to explore a new space in the StarCraft universe. Before you’re dealing with a very large galactic war, Amon’s forces are going to destroy the universe. Now we’re dealing with something that’s a little bit more personal, a bit closer, we’re following a particular character that’s very popular in StarCraft lore, she’s trying to uncover this Dominion threat, it’s a little bit of a darker tone. When exactly that third pack will arrive hasn’t been announced, though its “on or before” date is December 1. Something to hold for a little preview at BlizzCon, possibly, or just one of Blizzard’s now-weekly content releases across their franchises. Clearly they’re still working on it, so don’t expect it for a while yet.